Bobbie Sanders and her family live what some might call an idyllic life in Newport Beach, California. 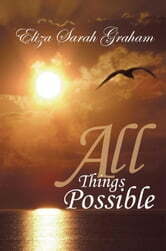 Happily married with two fairly normal teenagers, Bobbie confronts lifes challenges with faith, humor, and humility. But life as Bobbie has come to know it is in flux. Her kill them with kindness attitude hits a wall when the irascible Mr. Ragoni moves in next door and rebuffs all her efforts to win him over. Its just the first sign of the seismic changes that threaten Bobbies sense of security. Her husband, Bud, is going through a midlife crisis; her daughter, Pamela, is leaving convention and a fianc behind for new horizons in Japan; and her sixteen-year-old son, Cole, shocks them all by befriending Mr. Ragoni to potentially disastrous effect. 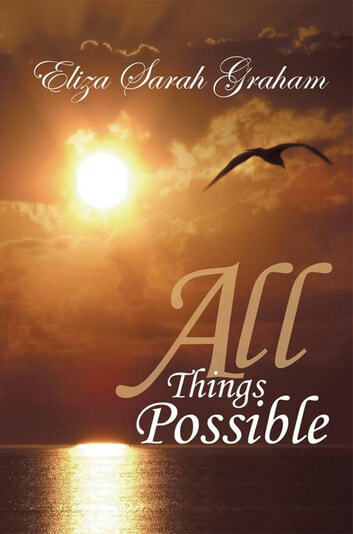 In All Things Possible, Bobbies goodnessand her faithare challenged to the core when real tragedy occurs, and she is forced to question the divine promise that God will not give her more than she can handle.